It is time to put your smartphone aside or how heavy surfing may cause carpal tunnel syndrome. Heavy users of smartphones tap and swipe on their mobile phones’ touchscreens more than 5,000 times a day. A study presented at the Congress of the European Academy of Neurology in Amsterdam shows that these finger acrobatics can put major strain on the nerves of the hand and arm. 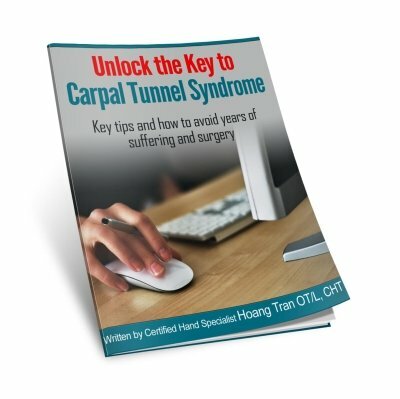 In the worst cases, heavy users can develop carpal tunnel syndrome. Yet, our world is no longer conceivable without smartphones. In 2016, more than 2 billion people worldwide used smartphones and even more had other touch devices. US market researchers have determined that we use our phones an average of 145 minutes a day. Besides putting stress on the eyes and disrupting concentration, this activity puts big demands on the motor functions of the arm and hand, say carpal tunnel therapists in Miami clinic Hands on Therapy. After all, smartphone users tap their touchscreen an average of 3000 times a day. Turkish researchers have investigated whether these extreme finger movements have negative effects on hand and arm nerves. The median nerve is the main nerve responsible for the muscle movements executed while using phones, and its compression leads to a condition known as carpal tunnel syndrome. They wanted to find out whether excessive smartphone usage may eventually cause the syndrome. Not all smart phone users will “like” the results presented at the conference in Amsterdam. It turned out that the use of a classic mobile phone rarely has negative effects on the sensory functions of the median nerve or on motor nerve conduction. Heavy use of a smartphone, though, can have an unfavorable effect on the median nerve. Motor nerve conduction for heavy surfers was about 10% lower than for moderate users. To rule out the possibility of individual factors influencing the results, the study authors compared not only the groups of participants to each other but also measured the differences between the hand holding the device and the other hand. The same picture emerged there, too: Nerve conduction in the dominant hand among heavy users was about 12% lower than for the hand subject to less strain. Carpal tunnel therapists Miami clinic advise that vigilance in the education and monitoring of young people using electronic devices is crucial, especially as children and adolescents are less capable of self-regulating. Read more about carpal tunnel therapy or Contact Us.